Maritime Cook Islands (“MCI”), commits its support to the Marae Moana Act, which has been passed by the Cook Islands Parliament and sees the establishment in the Cook Islands of the world’s largest multi-use marine park. The Parliament of the Cook Islands has formally established Marae Moana advocating protection and conservation of the marine environment, and ocean surrounding the Cook Islands. Spanning a total ocean area of nearly two million square kilometres, the marine park is established over the entire Cook Islands Exclusive Economic Zone, with marine protected areas around every island where no longline, purse seine fishing, or seabed minerals activities are permitted, as a precautionary measure to protect biodiversity including whales, dolphins, sharks, turtles, and seabirds. Exclusion zones, extending 50 nautical miles from every island are specially reserved for the enjoyment of the local people of each island. The passing of the ocean-saving legislation resonates with the United Nations (UN) Sustainable Goal 14: Conserve and Sustainably Use the Oceans, Seas and Marine Resources, which is also part of the International Maritime Organization’s (IMO) goals for the shipping industry. 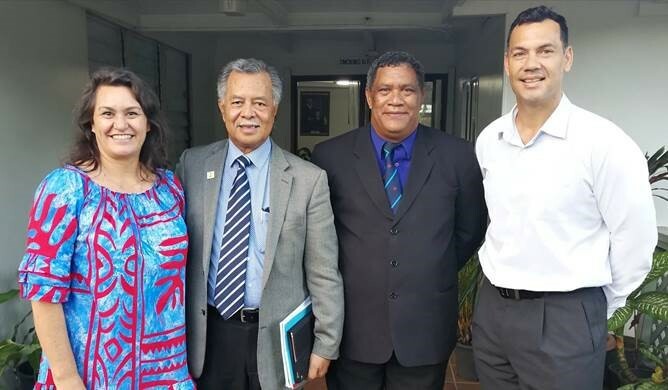 The idea of a marine park was first conceived and presented to the Cook Islands cabinet by Kevin Iro, a board member of the Cook Islands Tourism Corporation, who has recently been appointed as an ambassador of Marae Moana. “Moving forward, MCI will work closely with the Marae Moana coordinators towards ensuring vessels entering within and beyond the marine park’s boundaries comply and respect the sanctity of the Marae Moana Act,” Glenn added.